BrewDog and Flying Dog, two of the most innovative craft breweries around the world, challenged each other to the unthinkable; brew an IPA without hops! This seemed like too good an opportunity to turn down, which will come out on top? From my understanding both sets of brewers will use a mix of roots, herbs etc. to recreate the bitterness that hops normally provide in an IPA. I'm very interested to try these as IPA is my favourite style of beer and I'm intrigued if the hop flavour and bitterness can be reproduced. So first up is BrewDog from Scotland. The beer poured a really deep red colour with a 2 finger head of creamy foam on top. There appears to be moderate carbonation and the head has good retention. The most noticeable aroma I pick up on the nose is of bay leaves and spices. I also get hints of cloves, banana (oddly like a wheat beer...) and juniper berries. The nose doesn't seem to be suffering from a lack of hops, which is obviously a positive. 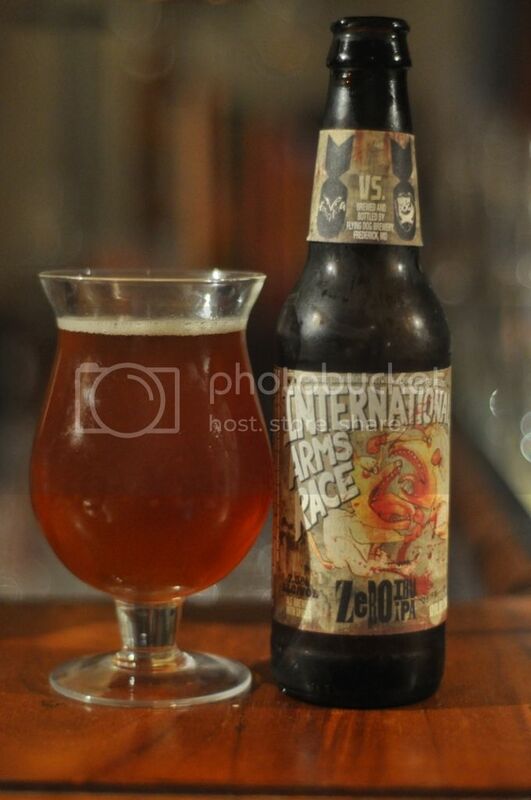 The International Arms Race from BrewDog has a really unusual taste. At first it was very fruity before a strong spicy ginger flavour took over. The predominant flavour though is juniper berries, which add some bitterness but doesn't pack that same punch that some hops would have. It had the dry finish that I expect from an IPA but it really suffered a little in the bitterness department from the lack of hops. It's not the best BrewDog beer I've ever had but it's certainly not the worst. Now we move on to the American version. The appearance in comparison is awful. The colour is probably more typical of an IPA however the head is attrociously small and was gone within maybe 40 seconds of pouring. The nose is quite similar to the BrewDog nose. Juniper was again the bittering agent of choice, however I could also detect cinnamon, bay leaves and mint coming off the nose. When you taste the Flying Dog entry you can instantly notice the fundamental differences in these two beers. While the BrewDog entry tried to replicate a typical IPA flavour the Flying Dog entry went really big with herbs in the same way that American brewers go big with hops in their normal IPA's. There's lots of orange, juniper berries, bay leaves, rosemary even... 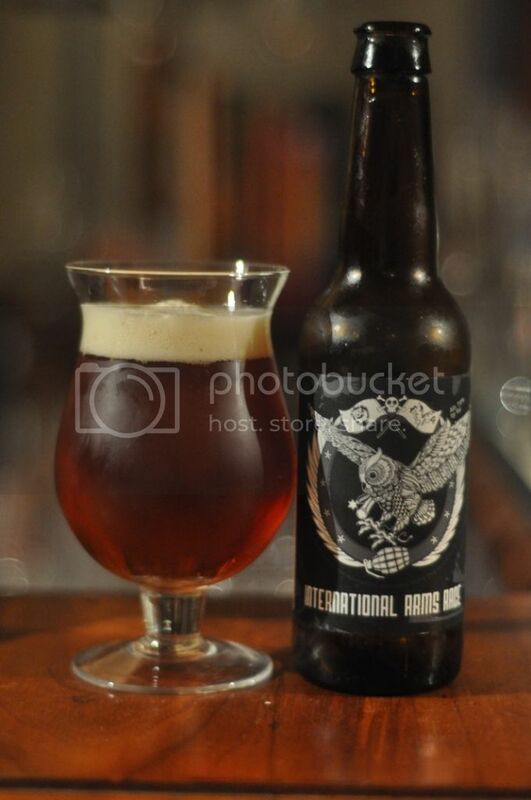 There's more herbs and spices than I can name, it's a really intense beer, but is it necessarily an IPA.... I'm not so sure. So choosing the winner is going to be quite difficult. Both breweries made a good fist of trying to brew an IPA without hops, something I would have thought was impossible. In my opinion I'm going to have to award this battle to BrewDog's version. For mine it was more in line with being a true IPA, Flying Dog provided a really interesting herbal beer, but for me it wasn't quite an IPA. This is certainly something I would recommend everyone who loves IPA's trying, it's a really interesting experience.